Artist/Author: Inger, Robert F. and Chin Phui Kong. North Borneo (now Sabah) is situated at the northern tip of Borneo Island (the third largest island in the world), it lies between 5° and 7° north of the Equator. It covers an area of 73,711 sq. km. (29,388 sq. miles) or about 10% of Borneo’s total area of 286,699 sq. miles, yet it has nearly 40% of the fresh-water fish species now known from Borneo. 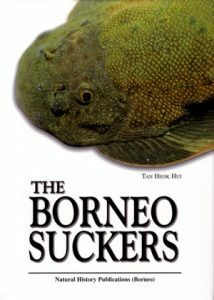 One hundred and sixty eight species of fresh-water fishes are described in this book; among them 62 species are endemic to Borneo and 29 species are endemic to North Borneo. The most interesting groups of the endemic fishes are the clinging-fishes, which are found in the mountain streams, especially in the Kinabalu Park, which comprise Gastromyzon (8 species), Glaniopsis (4 species), Protomyzon (4 species) and Neogastromyzon (1 species). The Giant Goramy or Ikan Kului, Osphronemus laticlavius, is perhaps the most spectacular fresh-water fish endemic to Sabah, which has found its way to the lucrative global ornamental fish trade in recent years. Fishes of the Philippines: a guide to identification of families. An identification guide to the families and species of Philippine marine fishes. 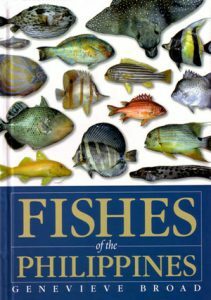 This book aims to simplify the identification of fish to family level, using observable external features such as body shape, size, and positions of fins. It is a resource for laypersons and teachers, students, and local communities monitoring fisheries. The Borneo suckers: revision of the Torrent loaches of Borneo (Balitoridae: Gastromyzon, Neogastromyzon). The systematics of the genera Gastromyzon, Hypergastromyzon and Neogastromyzon of the family Balitoridae, all of which are endemic to Borneo, are revised. These genera possess an increased number and enlarged size in the pectoral and pelvic fins, fused pelvic fins and dorso-ventrally flattened bodies. They live in the headwater and hillstreams, typically in fast-flowing water over a rocky substratum. All type material of the 21 known species of Gastromyzon is re-described, with another 15 new species described. The genus Gastromyzon, now with 36 species, is divided into 11 artificial species groups: Gastromyzon borneensis group, G. punctulatus group, G. fasciatus group, G. contractus group, G. ctenocephalus group, G. lepidogaster group, G. ridens group, G. danumensis group, G. pariclavis group, G. ocellatus group and G. auronigrus group. The status of G. borneensis and G. lepidogaster is resolved with fresh topotypical material. The taxonomy of G. borneensis, G. danumensis, G. fasciatus, G. lepidogaster and G. punctulatus is clarified with fresh material and material from a wider distribution. A lectotype is designated for G. monticola. The life colouration of 26 species of Gastromyzon is illustrated, together with line drawings of juveniles of 15 species. 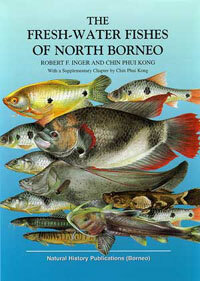 A field guide to the fishes of Kuching Rivers, Sarawak, Malaysian Borneo. Introduces the non-taxonomic reader to the variety of fish species in the mostly estuarine rivers running through the city of Kuching. Many of the species are illustrated with some of the most stunning photography yet seen in any fish guide. One hundred and two species are described with detailed information on the appearance, habitat and distribution. These species range from freshwater species that can tolerate low salinity levels to marine species that visit freshwater. This book covers the species most likely to be seen, and provides characteristics to enable identification without the use of a microscope or anatomy dissection. 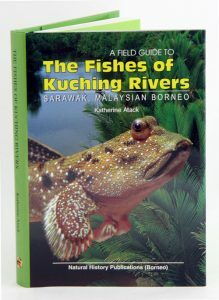 In addition, the introductory chapters give a brief review of Sarawak and Kuching, before providing a general outline of fish habitats, biology and ecology.